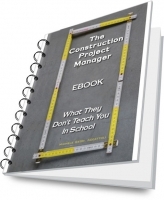 All you need to know about working in construction sites, for the first time collected in a convenient ebook specially designed and built by Italian construction surveyors, with clear references to national standards to know when working on site, safety in the pipeline and execution times to predict. In addition, practical tips and tricks useful to school, where the manual surveyor yard can become a valuable ally for the preparation of the thesis of maturity for Surveyors, in view of the examination or qualification as a surveyor. But what is really working in construction site? Working as a surveyor on site means become the center of coordination between the developer and work teams, an important task and far from simple: check that all building work is carried out according to the information received, on time and expected costs and, last but not least, ensure site safety. This ebook, a treasure trove of practical advice and examples for those who prepare the qualifying examination in surveying, aims to introduce the reader to the reality of work in the yard for the first time explained clearly by those who truly knows the profession .